Preliminary lesson from my first meter experiment: Always put your panels in direct sun, and remember that the orientation matters, and collection from inside works, but happens at about half the rate as it would in similar conditions outdoors. Bonus lesson: the 21w Solar panel will almost certainly provide more energy than your device can take under ideal conditions. The powercore II tops out (to the same Amp and volt measurements as a wall plug) before reaching the theoretical capacity of the panel. LOL.. Somehow, I read DORK meter. My bad. How much was that device and where did you get yours? I'd be interested to see what happens when you try to activate the dual input with the solar charger. Also, looks like the PowerCore Elite 20000 isn't being sold any more. Hasn't been on Anker's website for several weeks, and only available from third party sellers on Amazon, too. That is consistent with mine and others experience. I'm sure I mentioned this many times, UV light is more energetic and it is significant reduced by glass. 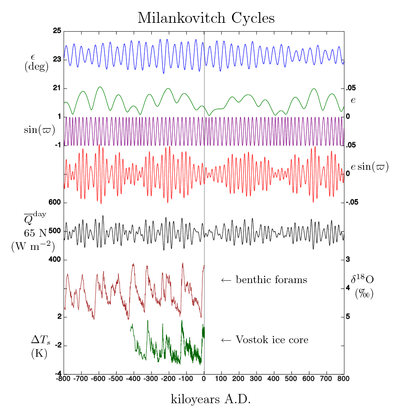 It is also reflected and so made stronger by sand, sea and snow, and is it stronger at altitude and when sun is higher in sky where it passes through less atmosphere. Also you only had 1 meter not 2. 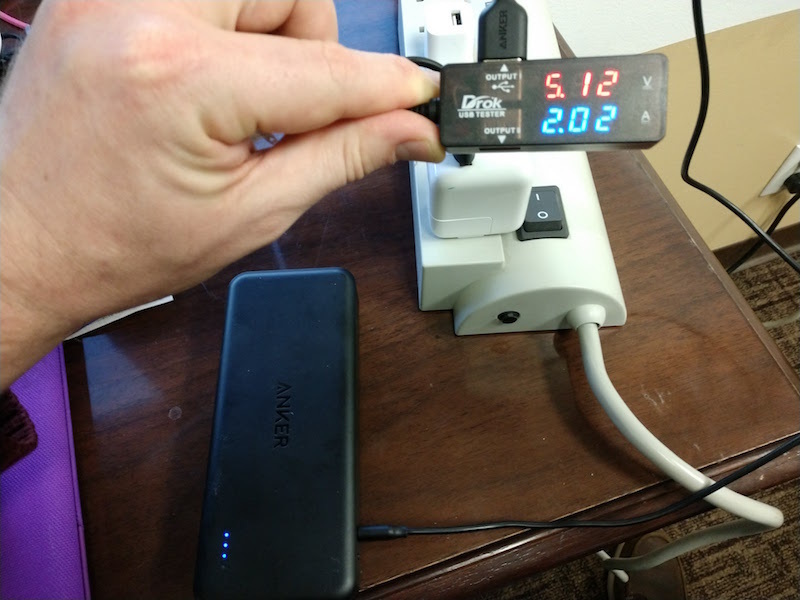 If you had 2 and 2 devices they would compete more with each other, only having 1 meter and max per port you would see more constancy of output in slightly varying conditions. Is the Poweport II 20000 the dual 2A input? If you had 2 meters in-line in both ports of 21W and the battery then you may find in perfect situations more than 10W. But the conclusion you can get a reasonable 10W which is enough for many devices is very true. Solar is quite viable now for common gadgets like phones, smaller tablets, torches, etc. Interestingly enough, the sun is closest to us in winter time but it is the furthest from being perpendicular, like you said (at least in US). 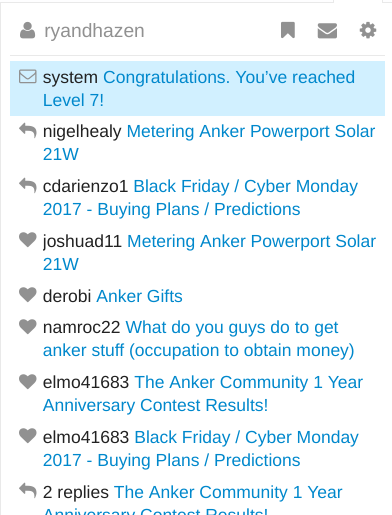 Do I smell an upgraded solar panel coming soon @AnkerOfficial ? The 21W was released over two years ago now. 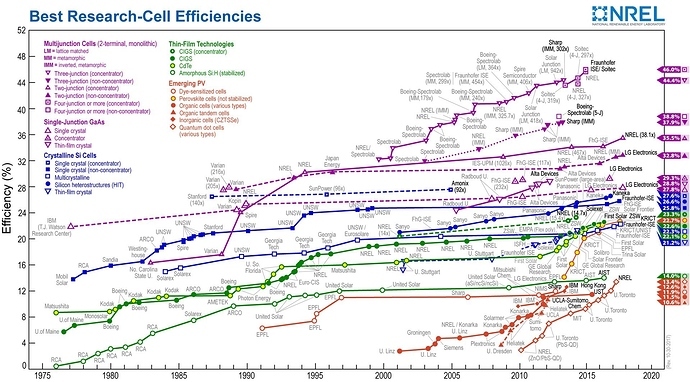 Have more efficient solar technologies been developed and implemented in recent years? Or maybe we'll see just a minor refresh with USB-C.
That’s pretty interesting with the glass hindering the wattage by 50%. 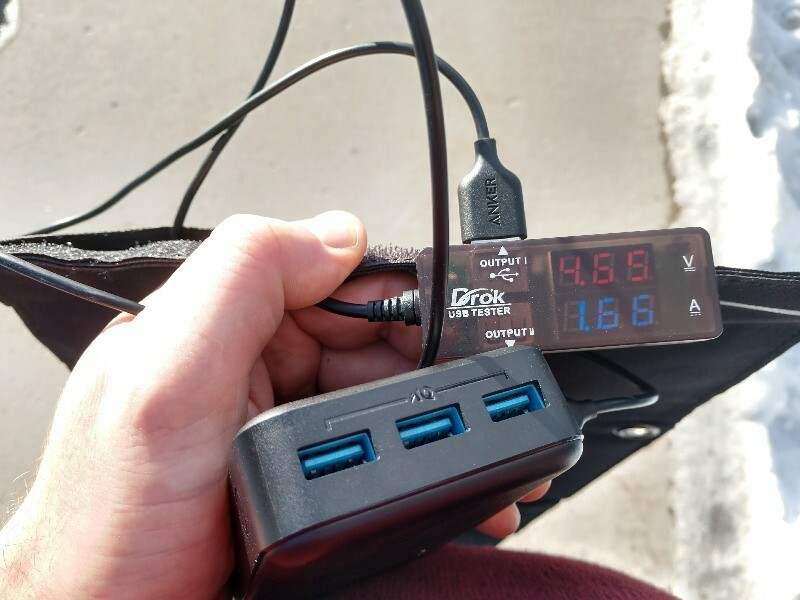 Also that’s pretty cool that you got a very good result from the Powerport solar> I would have though it charged very slow instead of at 5v and 2a in ideal conditions. LOL.. Somehow, I read DORK meter. Amazon - $10 for the USB 2.o LED display model I'm using. All other conditions were the same, but this particular result was unexpected, so I'm going to try a more controlled test in the future. I'm still kinda figuring out how to control for all possible variables. Also, looks like the PowerCore Elite 20000 isn't being sold any more. 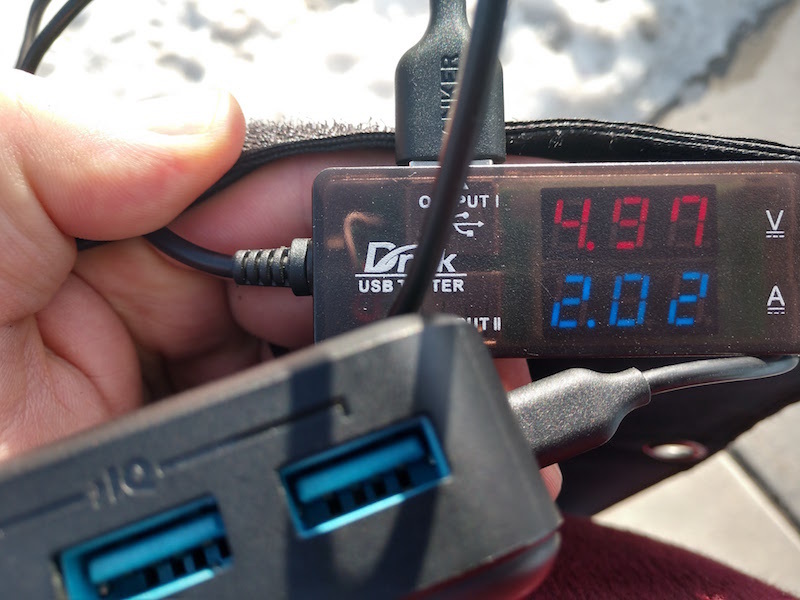 I would say it;s a shame, because I love the battery, but I think the newer iteration with 4.8A output is better, and the price is right too. I really want to be able to power a chromebook (as well as all my other stuff) with this panel and powerbanks, so more output is better in my eyes as we move into a future with nearly universal USB-C charging (however long that lasts ). 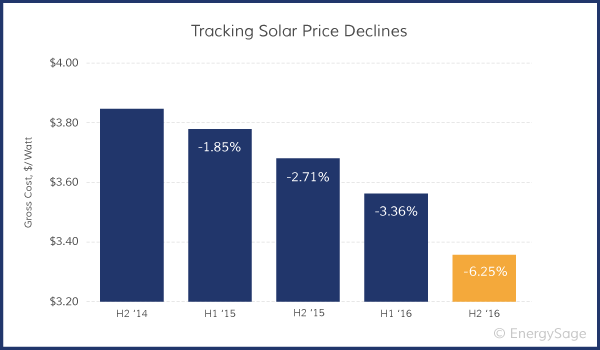 No there has not been a major improvement in solar technology relative to the ones Anker is using in the last 2 years, there was in the panels which were made from 2014 we see now. The most major change has the large scale manufacturing of solar cells has caused a large cost decrease. Likely the major change is we have devices now which can ingest more than 5V 2A 10W per port so in perfect conditions the use of 2 10W ports is a little wasteful at times. Pairing with the Powercore II 20000 or the Powercore 26800 which both have 2 10W was a good balance. So I see the port types improving. One way is to offer one USB-C one TypeA or once USB-C and two Type-A to extract a little more use when conditions are perfect. The other changes can be cosmetic such as making it white as solar is more efficient when colder and and making a better pouch so you can keep things without falling out. AND I just made it to level 7! Woot Woot! 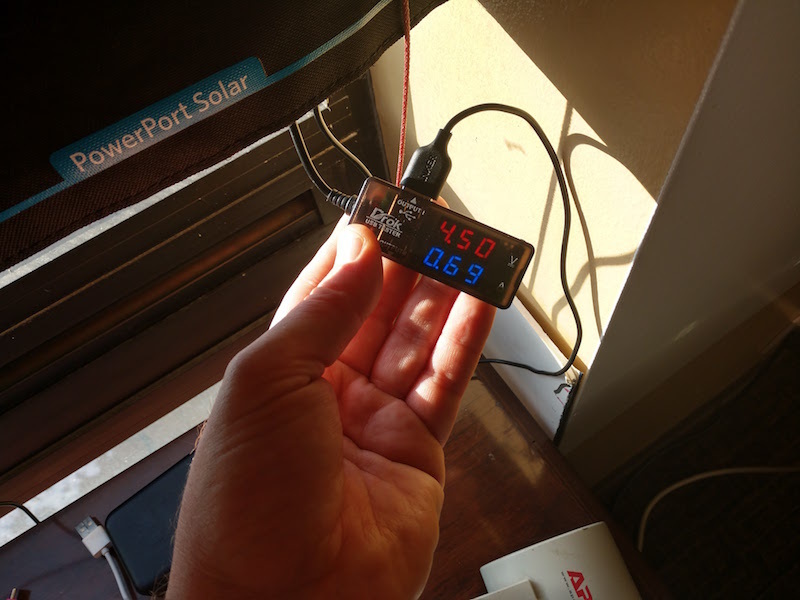 So solar has some good pairings of devices, in my most recent expensive investment I got a new 8" tablet with can take 5V 2A actual input so it can be charged at full speed off strong sunshine. It replaced a 7" tablet which never could ingest more than about 5V 1.6A. Much bigger than that 8" tablet can become relatively slower recharged from solar. To turn a tablet into a laptop is really just a BT keyboard which usually last weeks between recharges. Where this becomes absolutely silly is someone having no knowledge of energy and thinks a large powerful laptop can be recharged off solar. They are not common in this community but some unfair reviews exist out there blaming solar tech for the buyer's ignorance. Congrats. All your posts are informative or entertaining so excellent community member! this is why need 2 meters. You don't know what is happening on the other non-metered port. You may be (correctly?) assuming two ports draw the same. Only 2 meters can be sure. 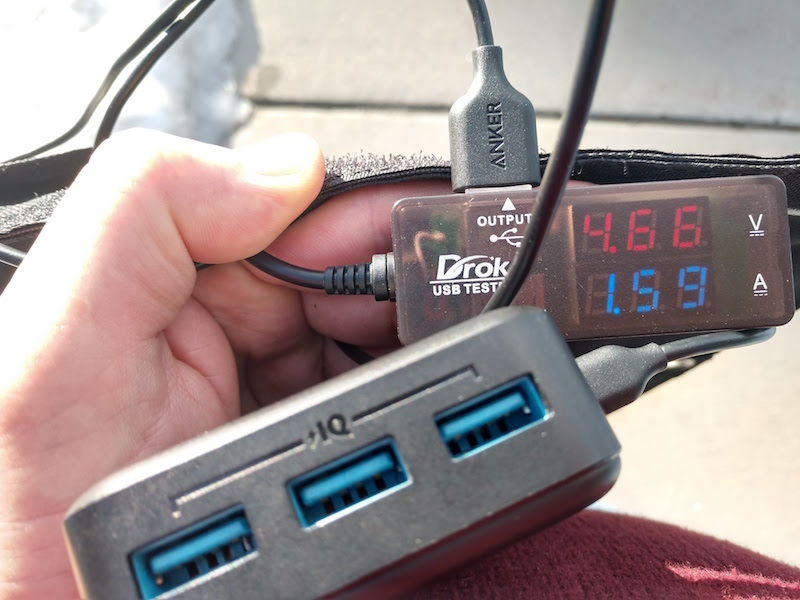 However, over a year ago now, I did tests using my 2 meters, one was Type-A one was USB-C and used devices I knew could pull 10W each and used them in parallel and I was able to pull about 1W more in total. I don't have two Type-A meters though. This is consistent with online reviews where someone had two Type-A meters and get about 11W in good conditions. That was why I recommended to go with the 20W input Powercore so any perfect conditions solar energy is never wasted. Future looking, Anker Solar products being aligned with the other Anker Powercore and Powerport would be good, so USB-C >10W and IQ2 > 10W. Nothing wrong with that. I want to be a dork one day Hahaha. Your test is very useful to me. 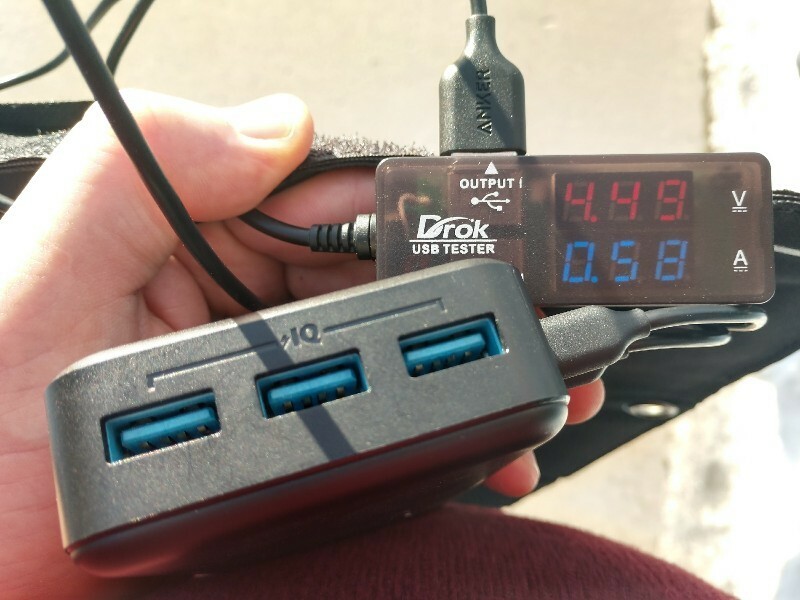 Your tips are helping me better use my PowerPort Solar Lite ! My name is Ryan, and I am also a power meter addict. They are great tools to see that manufacturers are meeting their specifications and for getting an idea how long a device will take to charge. Nice review! I should probably invest in one of those power meters too... Link? I love how everyone wants to get a power meter now, I'm not gonna lie I have had one for a long time but my usb one broke last year and I never replaced it. I still have my plug meter though. The PowerCore 20000 you linked to is not newer at all, and considering the output on the PowerCore Elite 20000 you have is 6A, it is more powerful. Only gets better with dual 2A input, which the older model does not have. Personally I also like the more boxed off design.